Image courtesy of photos.tamucc.edu/TAMU-CC MAR COM President Kelly Quintanilla and other TAMU-CC volunteers serving meals at Loaves and Fishes. Giving Tuesday is an internationally recognized day dedicated to helping others. According to the official Giving Tuesday website, over 40,000 organizations across 71 countries have participated. “It was wonderful, and it exceeded all of our expectations,” said Ann DeGaish, Associate Vice President & Dean of Students. DeGaish was in large part responsible for the events TAMU-CC participates in for Giving Tuesday, which has been going on for the past five years. Giving Tuesday provides an opportunity for people who are new to town or are unsure where to start volunteering. 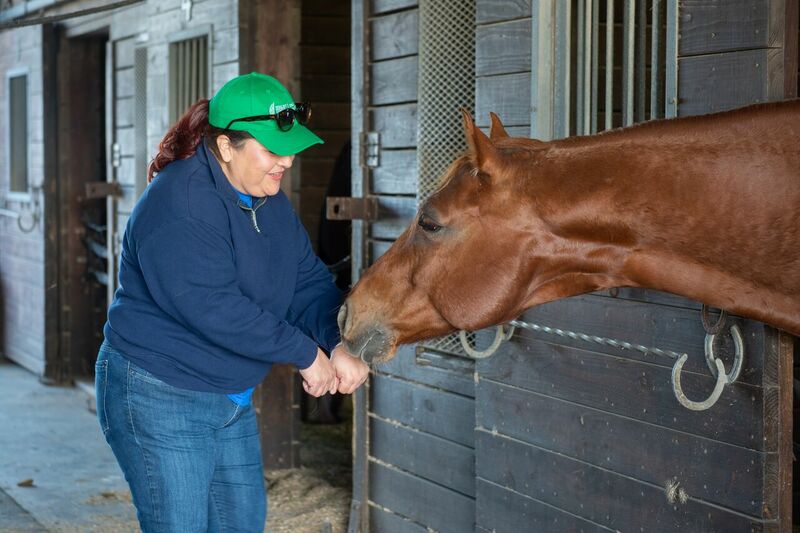 Volunteers were able to interact with the horses at the Glenoak Therapeutic Riding Center. “There were people who had never volunteered before in our community who were out there doing stuff, and they loved it,” said DeGaish. 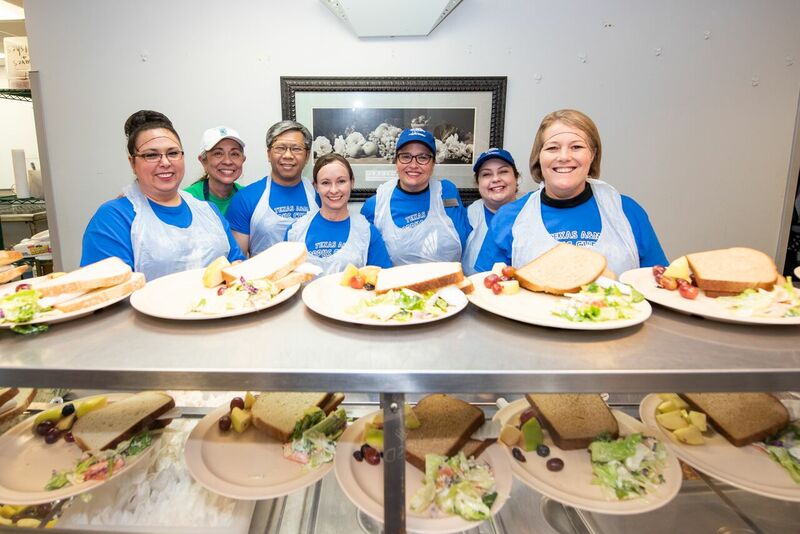 Dr. Kelly Quintanilla, President of TAMU-CC, volunteered her time at Loaves and Fishes, serving food to those in need. “For many many years I was a waitress, going through college that’s what I did and I thought this might be a good place I can help because I have those skillsets,” continued Quintanilla. There were 17 different sites for participants to volunteer at, including packing meals for Kids Against Hunger, grooming horses at Glenoak Therapeutic Riding Center and serving meals at Loaves and Fishes. “We would love to add some additional sites,” said DeGaish, when asked about plans for next year. Students wanting to volunteer should stay tuned for The Big Event, which takes place in March.